The 2014 Regina North American Indigenous Games took place in the City of Regina on July 20-27, 2014. This event showcased unity, sport, culture, youth, volunteerism and team work between First Nations, Metis and Non-Indigenous communities. 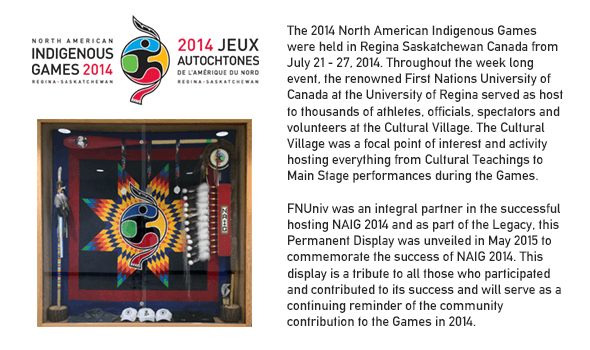 The theme of the Regina 2014 North American Indigenous Games was “Raising the Bar”. With years of preparation, dedication and sacrifice, it was a time to recognize the healthy lifestyle choices young Indigenous people and future leaders from all over North America had made.